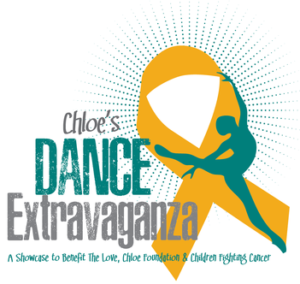 CCK is a proud sponsor of the Love, Chloe Foundation’s upcoming Dance Extravaganza event to be held on Sunday, April 22, 2018 at the Salina Central High School beginning at 1:00pm. The event is being put on by dancers from across Kansas to unite and support kids battling cancer. Included in this event will be raffles, a silent auction, a vendor fair and more. Community involvement is such an important part of what CCK is about. We feels it’s important to do everything we can to show our appreciation for this great state and the people who call it home and Salina is home to one of 22 CCK locations. The Love, Chloe Foundation’s mission is to help children with cancer and fund ground breaking research to find a “home-run” cure for these children. They have many programs in place to reach their goals including Monkey in My Chair in which each child is provided with a “monkey kit” that includes a stuffed monkey that takes their place in their classroom while they are unable to be there. In addition to the monkey, the teacher is provided a guide that helps them to best explain to that students the situation their classmate is facing and how it affects them. Again, we are so thrilled to be able to sponsor this event and be a part of their mission helping local families, striving for a cure!